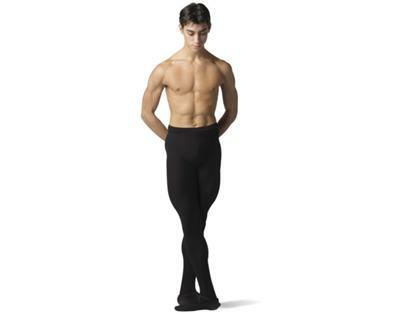 What is the ideal posture for a dancer? Please could you give me a description of how the body should be placed for the ideal posture. I'm hoping that by securing my posture will improve all my ballet positions. I need to correct posture not just in ballet class but also in my everyday life. For the ideal posture the spine should be lengthened without any slouching or slumping. The back of the neck should be long with no tension in the head. The eyes should focus ahead and the head is held so that the chin is at a right angle. There should be no tension in the shoulders so that the line of the shoulders are even. The shoulders are to be rotated back so that the blades are flat on the back. The arms should be held loosely at the sides. The elbows are held slightly away from the body because this enables the chest to rise. The ribs are lifted and separated from the hips. The spine should be straight and lengthened, but not unnaturally straight. Join in and write your own page! It's easy to do. How? Simply click here to return to Ballet Positions. Why isn't third position used as often as the others? In ballet class, my trainer told me that third position wasn't used as often as the other ones,therefore it wasn't as important. I was wondering why, if there was a reason. You bring up a very interesting question. Now I think about it, I suppose it is a valid point that third position perhaps isn't used as often as other positions such as first position, second position and fifth position. My thoughts are because in ballet, there are various pathways for the arms to go through. For example, you can go through first position to get to second position or you can go through second position to get up to fifth position. First position is known as the gateway. First position is the passage that is used for other positions to glide easily through it. Therefore, perhaps your teacher is saying that third position isn't as important because it isn't a gateway or central passing point for other positions. Third position isn't commonly used for other positions to pass through it. I hope that answers your curiosity, it certainly got me thinking! To contribute to your title I add two pictures with boys in basic positions: One 3rd position and one arabesque. Basics have to be studied and repeated in every ballet training, accompanying us our whole dancers life. Thank you for your ballet positions contribution, it is always a pleasure to hear from you. I greatly appreciate your ballet positions photographs. They demonstrate the pure and classical lines of ballet dancers. I remember hearing a lot of my teachers saying 'You have to go back to basics'. I always clung onto this bit of advice. The basic positions will follow a dancer throughout their career. They give our dancing a clean and classical manner. How Can I Improve My 5th Position? To improve your fifth position you need to use your rotation musceles to rotate your legs. you need to squeeze your bottom making it face your heels. It is not a good look for a dancer to have their bottom sticking out!! Also dont roll on your front foot, you can get an injury that way. HOPE THIS HELPS!! Ask your teacher for more guidence. PS. Practice makes perfect! Don't expect that it'll happen over night and that your legs will be fully turned out..just keep on practicing.